F&C Engineers supports the Wounded Warrior Project during the First Annual Valerus Customer Appreciation Golf Tournament held September 26, 2014 at River Ridge Golf Course in Sealy, TX. The Wounded Warrior Project (WWP) honors and empowers wounded service members and their families returning from the battlefield. WWP takes a holistic approach when serving warriors and their families to nurture the mind and body, and encourages economic empowerment and engagement. WWP fosters the most successful, well-adjusted generation of wounded service members in our nation's history. "We're looking forward to our participation in the Valerus Golf Tournament and are so thankful to Valerus for hosting this fundraising event for such a worthwhile organization. 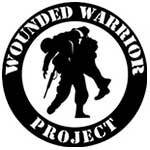 F&amp;C Engineers has been and continues to be a great supporter of the Wounder Warrior Project. The funds donated on our behalf will support the brave men and women that need our help returning to a well-adjusted life here at home," said Ivan Curiel, President F&C Engineers.